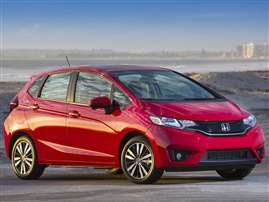 The trend towards fuel efficiency continues to push carmakers to produce ever more miserly vehicles. 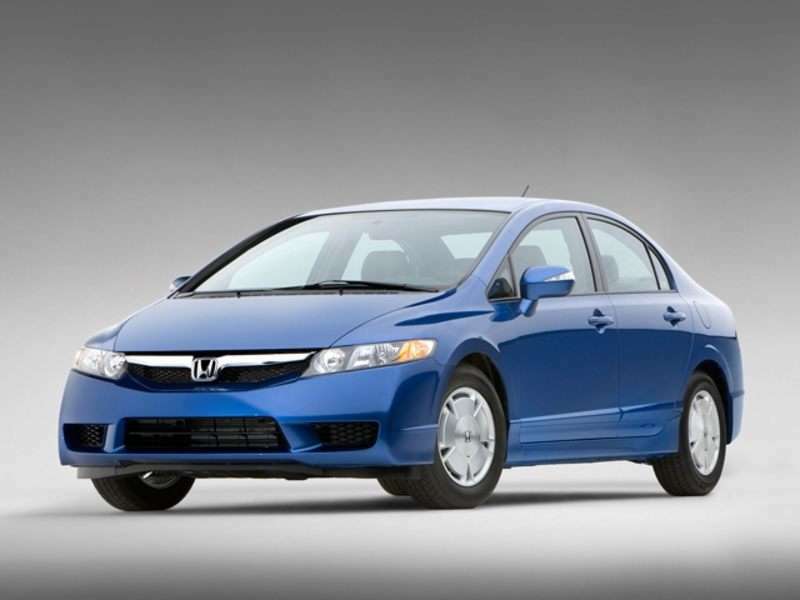 In 2012, the compact vehicle class boasts a number of models that deliver above 40 mpg on the highway. 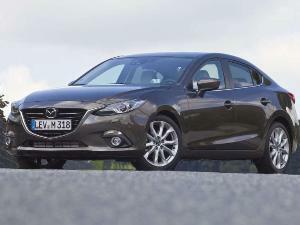 Keep reading to review the top five most fuel-efficient small used cars. 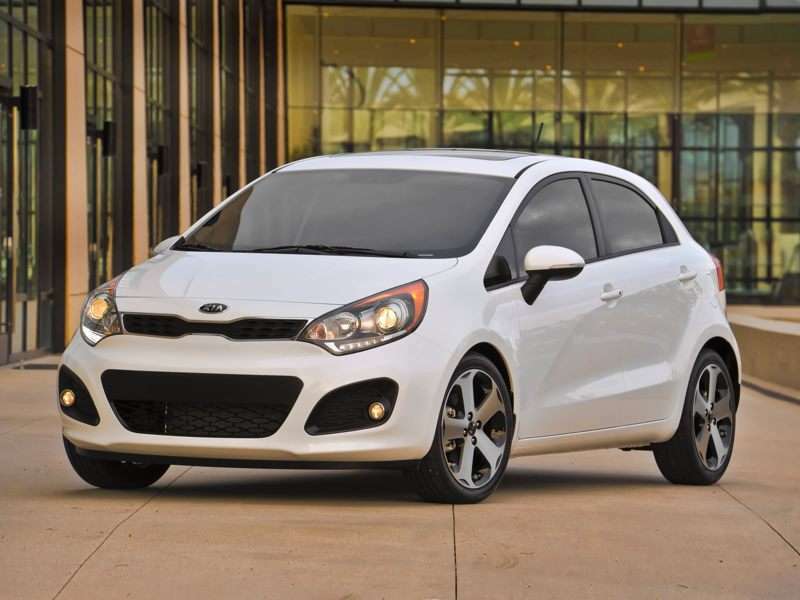 The Hyundai Accent and Kia Rio share the same thrifty 1.6-liter direct-injection four-cylinder engine. 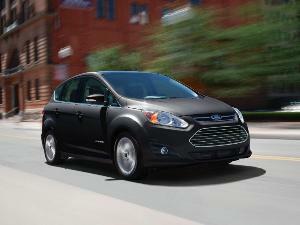 At its best, this power plant delivers 30 mpg in the city and 40 mpg on the highway. These two Korean compacts offer one of the best long-term values in the class. 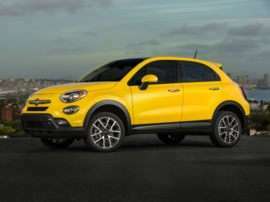 A complete model redesign also makes these models more stylish and attractive among the highly competitive small car segment. 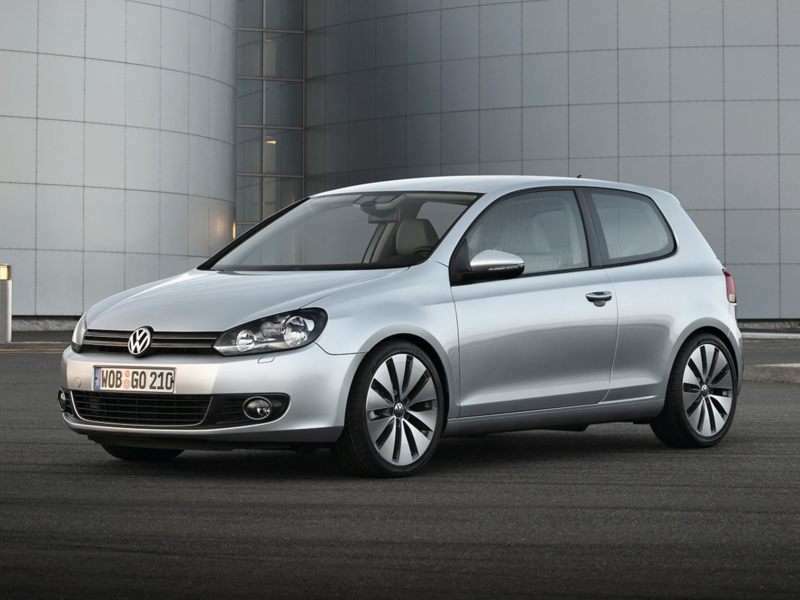 The VW's wunderbar turbocharged diesel engine returns for yet another year. 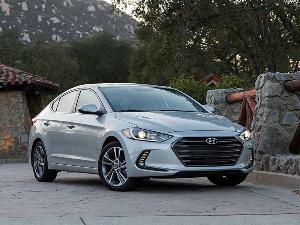 Available on the Golf hatchback and redesigned Jetta, the result is a peppy performance that also manages 30 mpg in the city and 42 mpg on the highway. While admittedly not the most affordable options on the market, many shoppers find the balance of refinement, power and efficiency more than worth the price tag. The world's first mass-produced electric range extender returns to tempt environmentally conscious drivers in the 2012 model year. 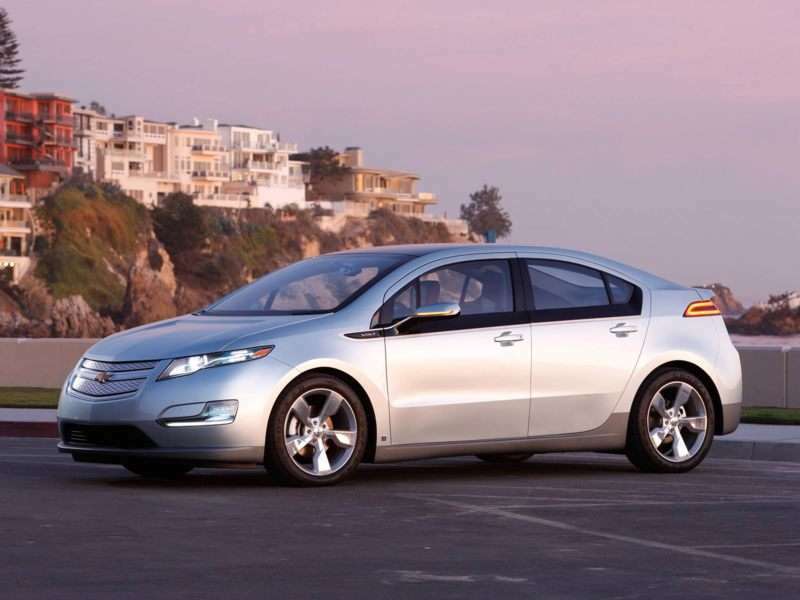 On full gas power, the Volt manages 35 mpg in the city and 40 mpg on the highway. 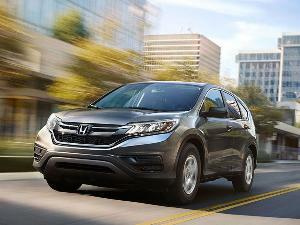 However, keep in mind that the vehicle has an electric range of 25 to 50 miles. This means, of course, that you may be able to accomplish your daily commute without using a single drop of gas. 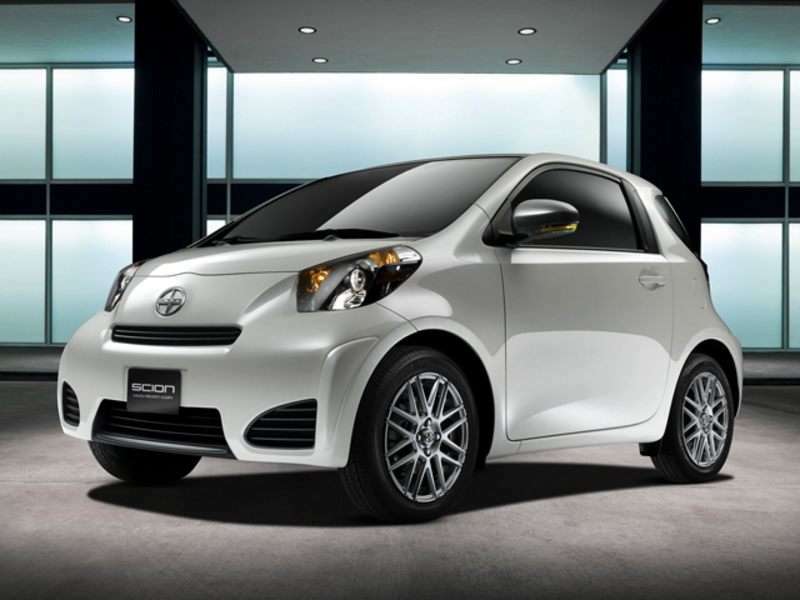 The Scion iQ is a brand-new two-seater sub-compact that promises 36 mpg in the city and 37 mpg on the highway. Powering this Lilliputian city commuter is a 1.3-liter inline-four cylinder engine that makes do with 94 horsepower and 89 lb-ft. of torque. If you like the cutesy design of the iQ and don't need all that much storage space, then the new Scion may be a good buy for you. 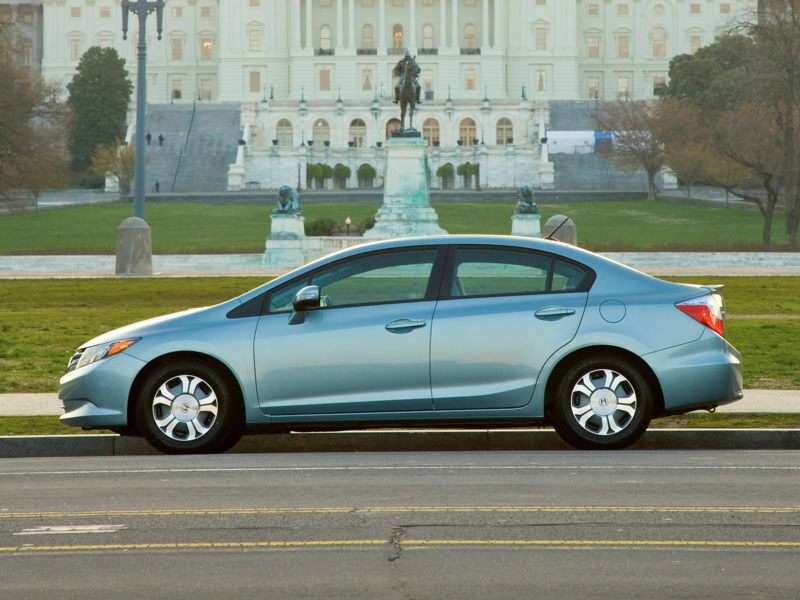 With a solid balance of 44 mpg in the city and 44 mpg on the highway, the 2012 Honda Civic Hybrid returns to stake its claim as the most fuel-efficient compact car for the year. A complete redesign sees the long-popular Civic receive some much-needed updates that help make the vehicle a top contender in its class.